Have you ever seen bows created by moonlight instead of direct sunlight? Yes, they exist and are known as moonbows. Moonbows or lunar rainbows are formed when the moon's light is reflected and refracted off water droplets present in the atmosphere. It is a rare natural atmospheric phenomenon because the weather and the astronomical conditions have to be so accurate for the moonlit bows to be created. 1. Moon has to be present at 42 degrees from the horizon, which is very low in the sky. 2. The moon has to be a full moon so that there is enough light to be reflected. 3. The sky must be very dark for the moonbow to be observed as any bright light can obscure it. 4. Water droplets must be present in a direction, opposite to the direction of moon in the atmosphere. 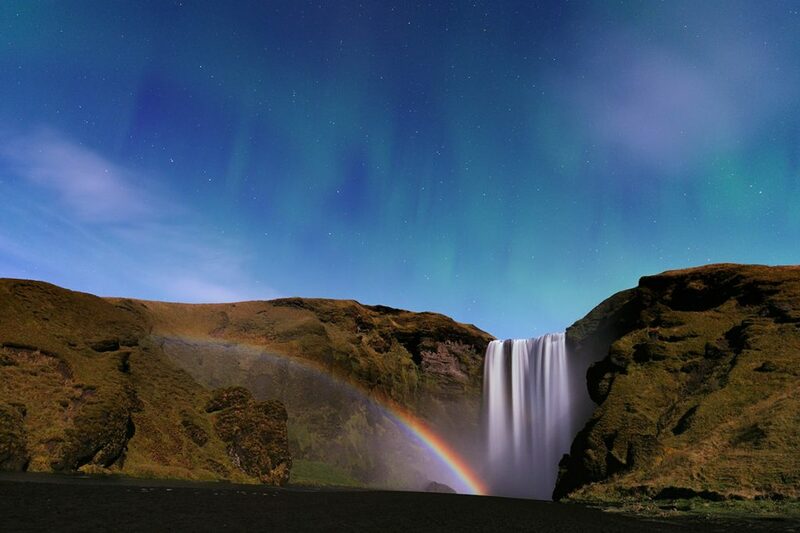 Some locations where moonbows frequently observed are Yosemite National Park in California and Cumberland Falls State Resort Park in Kentucky, U.S.; Victoria Falls on the border of Zambia and Zimbabwe; and Waimea in Hawaii, U.S. These locations have waterfalls, which creates a layer of mist in the air. Moonbows tend to look white to the human eye because the colours are not too bright to be perceived by the receptors present in the eye. However, long exposure photography would capture this beautiful phenomenon.